Notes: Aug. 1943←Sep. 1943→Nov. 1943 Vol 17, No 9. 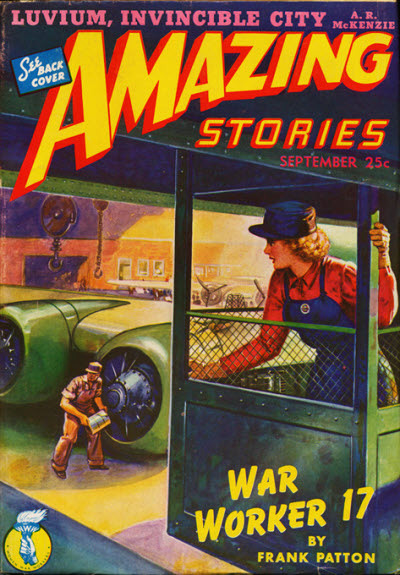 Cover illustrates "War Worker 17." Table of contents credits interior illustrations to Julian, Robert Fuqua, H. W. McCauley, J. Allen St. John, Malcolm Smith, and Joe Sewell. Illustration for "The Devil's Planet" by Robert Fuqua, and J. Allen St. John. Attributions for individual illustrations by signature if present or recognizable, using the most complete form of the artist's name found in this issue.